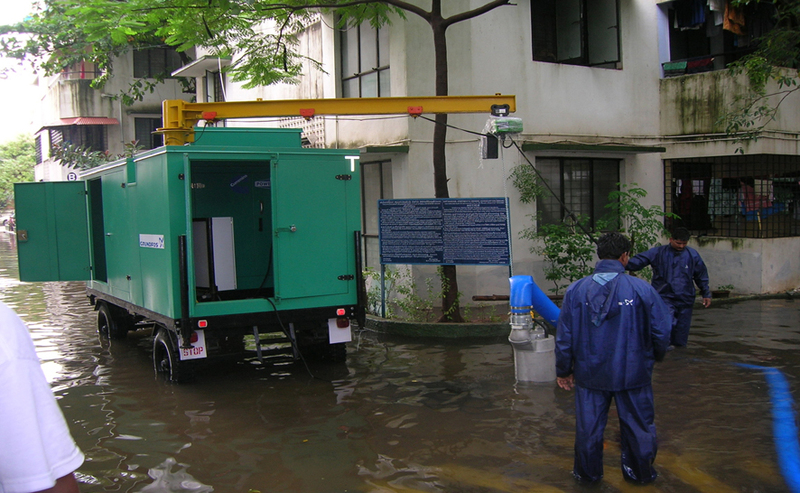 Grundfos India, the leading manufacturer of energy efficient pumps, has launched an ideal solution to address the distress caused by monsoons and imminent water-logging with its intelligent mobile water pumping station. The unit comprises of two pumps, each capable of discharging 200,000 liters per hour. 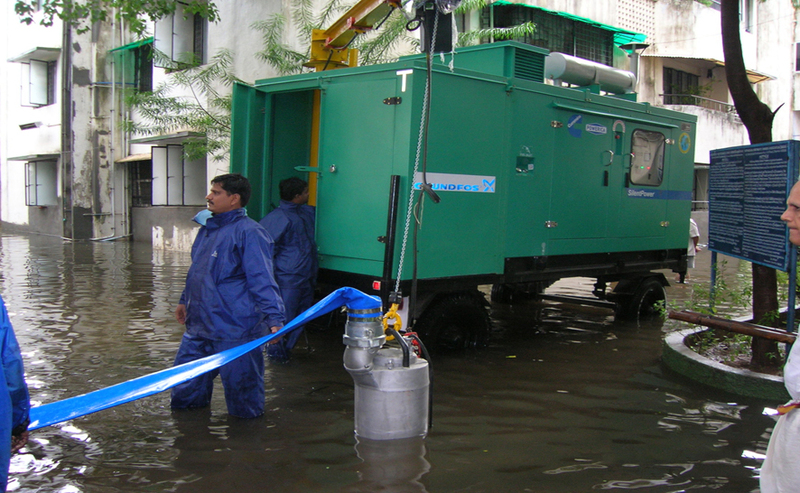 The mobile pumping station from Grundfos aims at reducing losses post disasters and can also be used for water supply in agriculture, horticulture, gardens and parks. With its double shaft seal system, which ensures trouble-free operations, the dewatering pumps along with a 50 kVA generator, control panel and a cantilever crane in a weatherproof enclosure, are mounted on a movable trolley that can be hauled by a truck or tractor. With a portable and compact design, these mobile pumping stations are light-weight and operate on just one cable, thus saving the need for additional sensor cables. These high-capacity pumps are suitable to use across harsh environments for dewatering of flooded areas in construction sites, draining of storm water, shipyards, waterlogged facilities / basements, drainage pits, power stations, low-lying catchments areas, fishponds, etc. The pumps are also specifically designed for pumping dirty water with a high content of abrasives like sand. Speaking about the introduction of an innovative solution, Mr. Ranganath N.K., Managing Director of Grundfos India, said: “According to a United Nations Global Assessment Report in 2015, in the recent years, India has an average economic loss of around $9.8 billion due to various disasters. Out of which, more than $7 billion loss is because of floods. A lot of this damage can be mitigated by removing the unwanted water efficiently using pumps. However, many a times, pumps are not installed in the areas that may be effected by flooding. 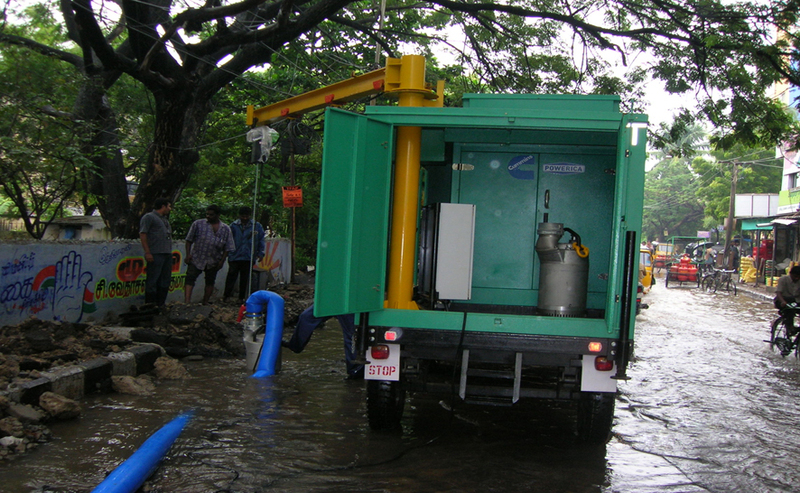 Therefore, the mobile pumping station is an ideal solution for addressing this issue”. 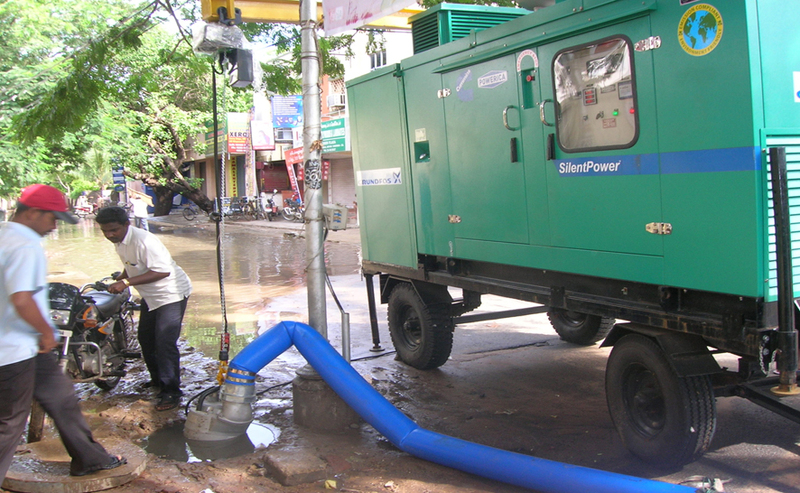 Grundfos Pumps India Pvt. Ltd. (Grundfos India), a wholly owned subsidiary of Grundfos Holdings was established on March 13, 1998. Grundfos India is responsible for sales of Grundfos products in India, Bangladesh, Bhutan, Maldives and Nepal. Currently, it has more than 250 employees and works with 200 distributors and dealers with 14 offices across India. The company provides energy efficient pumps and smart pumping solutions for various applications – heating and hot water service systems, cooling and air-conditioning systems, industrial applications, pressure boosting and liquid transfer, groundwater supply, domestic water supply, sewage and wastewater, dosing, chlorination systems, disinfection systems and pumps running on renewable energy.